Produktinformationen "Hobb-Goblin - 8mm Hobbed Shaft Kit"
A wicked little filament drive hobbed shaft made from stainless steel with really sharp little teeth cut into it. 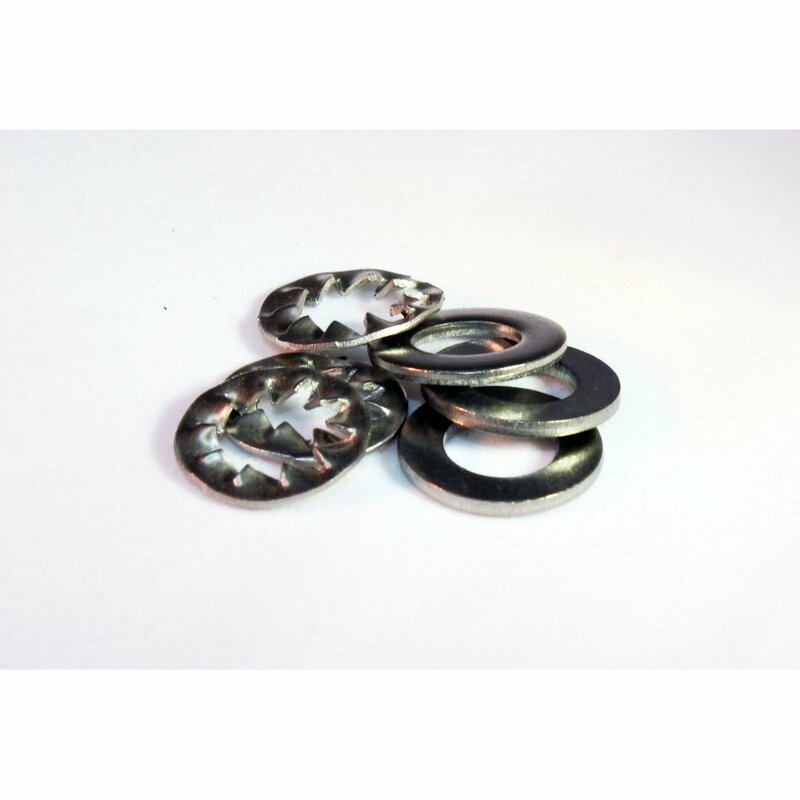 These are carefully manufactured on a synchronised CNC process which gives a sharp, consistent, and clean cut tooth profile that has incredibly good grip. We've tested these with 1.75mm and 3mm filaments, from the soft and delicate flexibles to hard and abrasive materials like Carbon-Fibre PLA. All with great results. 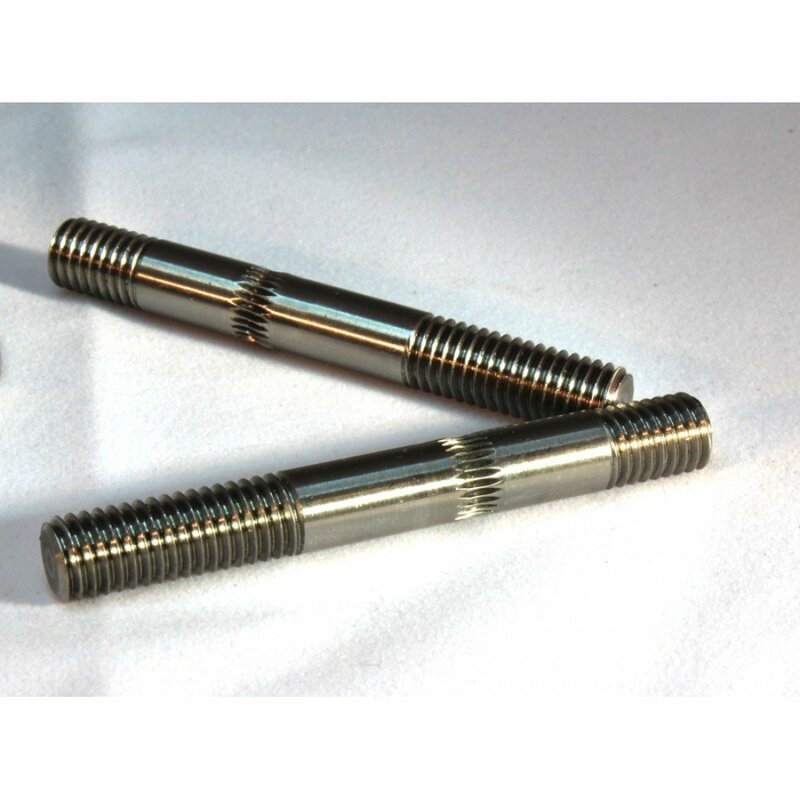 These are a functional equivalent for the traditional hobbed bolt of yore, but instead of using a questionable quality M8 bolt as source material these are made from great quality stainless steel bar. 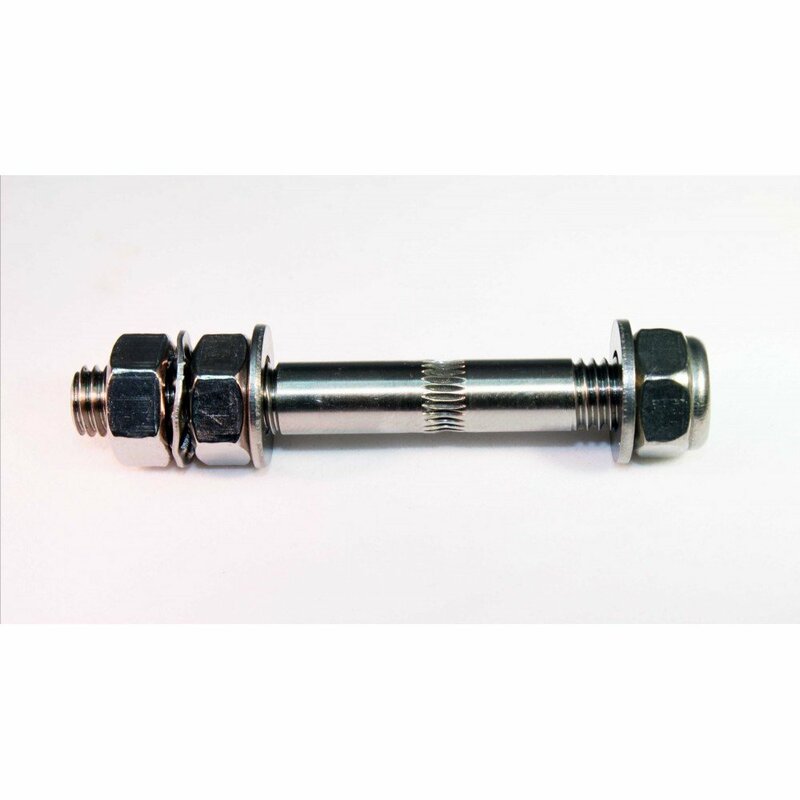 Threaded on both ends means locking nuts are used instead of bolt head which means that the position of hobbed drive area is adjustable. Fantastic for the classic geared extruder. 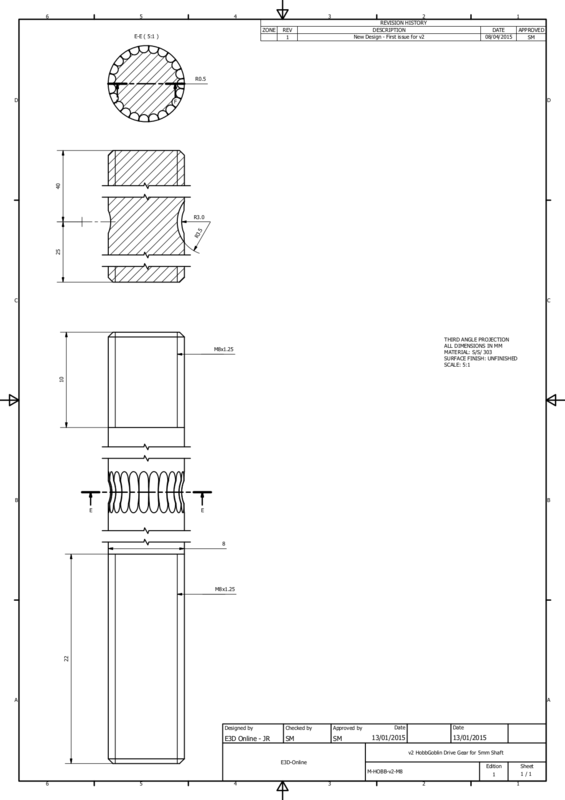 M8 threaded on both ends, with a diameter that does not exceed 8mm for easy passage through a bearing with 8mm internal diameter. See drawing for details. 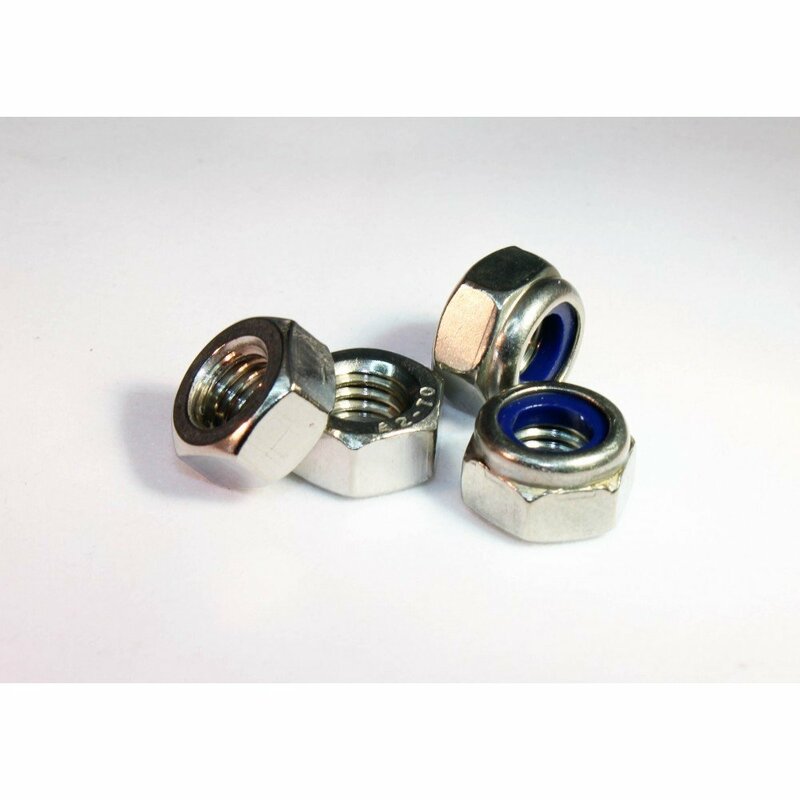 This Product comes with 2 x M8 Stainless Steel Plain Nuts, 1 x M8 Stainless Steel Nyloc Nut, 2 x 8mm Plain Washer and 1 x Stainless Steel Shakeproof Washer. Weiterführende Links zu "Hobb-Goblin - 8mm Hobbed Shaft Kit"
Kundenbewertungen für "Hobb-Goblin - 8mm Hobbed Shaft Kit"
Dieser Hobbed bolt ist sehr präzise verarbeitet, jeder Zahn ist präzise gefräst, keine überstehenden Grate und man merkt mit dem Finger das sich dieses Teil gut mit dem Filament verzahnt. Langzeiterfahrung habe ich noch keine, aber da dieser aus Edelstahl gefertigt wird, wird es hier sicher keine Probleme geben.